Malnourished children under two in rural Malawi whose mothers were trained in diet diversity, hygiene and food safety have shown significant improvements of their nutrition and health in just three weeks. 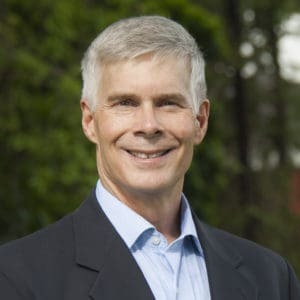 The study published in the Journal of Public Health Nutrition, Cambridge University Press (https://doi.org/10.1017/S1368980017003652), on January 17, 2018, demonstrates the rapid impact a properly designed nutrition education intervention can have. Under-nutrition is a persistent and complicated problem in the developing world, where imbalance in nutrition intake is a major problem. 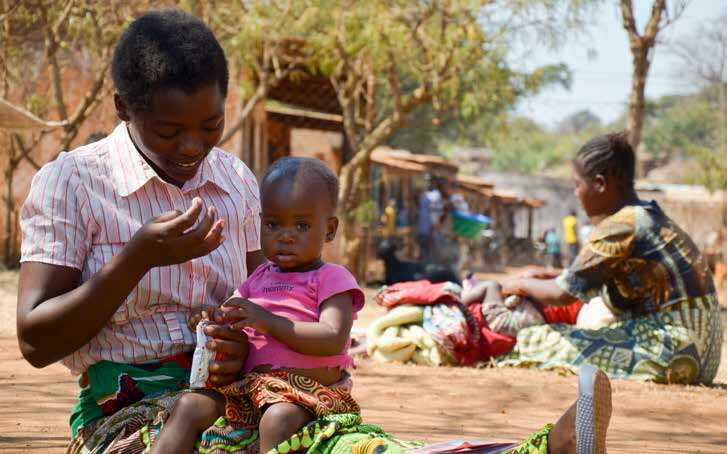 Growth impairment resulting from malnutrition is among the highest in Malawi, where over 37% of children are stunted (Malawi Demographic and Health Survey, 2016). 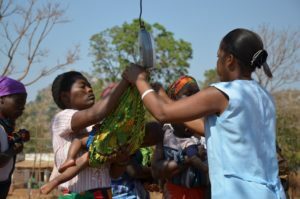 Now, a study conducted in rural Malawi has taken on this challenge: in just 21 days, children whose mothers were given comprehensive training on diversified complementary diets, water, sanitation and hygiene (WASH) practices, and food safety, showed significant improvement in wasting, underweight and mid-upper arm circumference (MUAC), all important measures of under-nutrition. This nutrition research was conducted amongst mothers of children of under two years of age, in the districts of Mzimba and Balaka in Malawi, by a team of scientists from International Crops Research Institute for the Semi-Arid Tropics (ICRISAT), and the Lilongwe University of Agriculture and Natural Resources (LUANAR), in Malawi. This research was supported by the Mc Knight Foundation and the CGIAR Research Programs on Agriculture for Nutrition and Health (A4NH) and Grain Legumes. The lack of diet diversity is a major concern for the majority of Malawian families who are smallholder farmers, growing crops for both food and income. 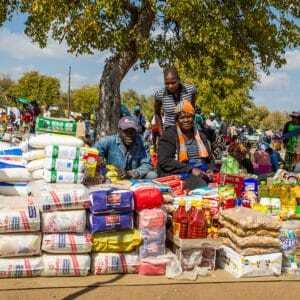 According to the Food and Agriculture Organization of the United Nations (UNFAO), more than half of the Malawian population lives in poverty, with high food insecurity. 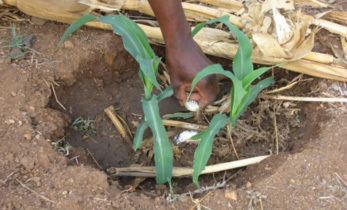 Typically, farmers grow maize, relying on the same for their food. 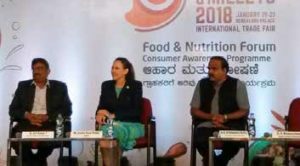 Other crops, when grown, are almost always grown for commercial purposes, with only recent interventions encouraging the use of millets and groundnuts for dietary diversity. Women carry out an estimated half of all farming work, alongside the majority of other household tasks and childcare, but often have limited control over household resources. During the study, scientists ensured that they used locally available foods and practices to develop a model that could significantly improve nutrition amongst young children. 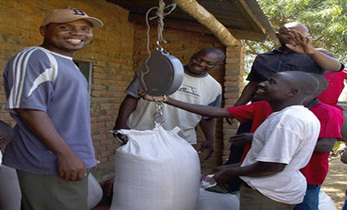 Using the food group approach, they developed a porridge recipe that combined nutritionally rich cereals and legumes like finger millet and pigeonpea, in addition to maize, groundnut, carrots, amaranth leaves to complement breastfeeding and provide all amino acids and vitamins and minerals required for child growth. Significantly, the methodology followed in the intervention moves beyond knowledge transfer and instead focused on the participation of mothers who were already raising healthy children to lead cooking and training sessions for mothers with undernourished children. Also known as the positive deviant or Hearth model, this method of ‘learning by doing’ has the benefit of using stakeholders’ knowledge and practices, in order to encourage adoption and ensure continued results outside the duration of the study. Carried out in the 2014-15 post harvest period among 179 mothers and their children, in-depth data from the study indicates the first significant scope of low-cost nutrition, food safety and hygiene training and the impact such simple practices can have on children’s health. 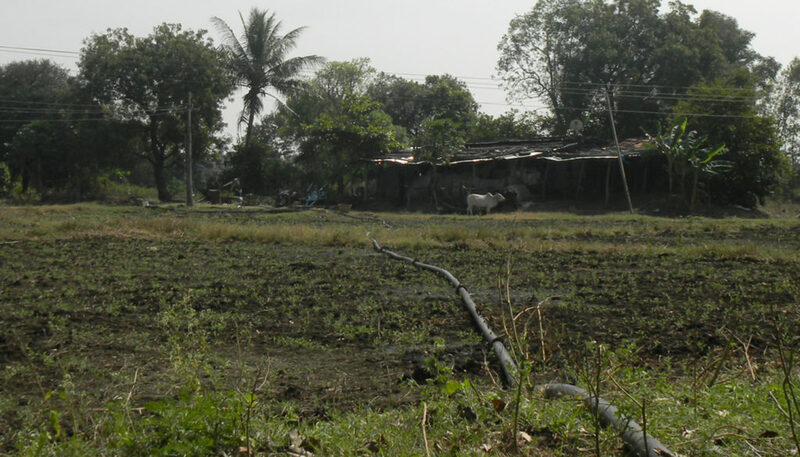 While incidence of diarrhoea almost entirely disappeared, impact on wasting showed progressive improvements on days 7, 14, and 21, with the largest impact observed on the last. Similar trend were noticed in other indices, though the study period was too short for observing effects on stunting. “Using the ‘food group approach’ in addition to basic training on WASH practices, we were able to achieve significant improvements in measures of under-nutrition in just 21 days. If this model were to be scaled with the help of public and private development partners, the gains made could be significant in eradication malnutrition in Africa,” said S. Anitha, an ICRISAT scientist leading the study. The study also indicates a huge area of concern on food safety, since more than half the urine samples of children studied indicated aflatoxin contamination, though this did not exert significant effect on nutrition outcomes per se. In conclusion, the research points to new direction and approaches for achieving better health outcomes amongst low-income countries in sub-Saharan Africa. A recently published research paper reveals how technology, knowledge and effective communication can help to address dietary misconceptions and encourage better nutritional practices in rural settings. 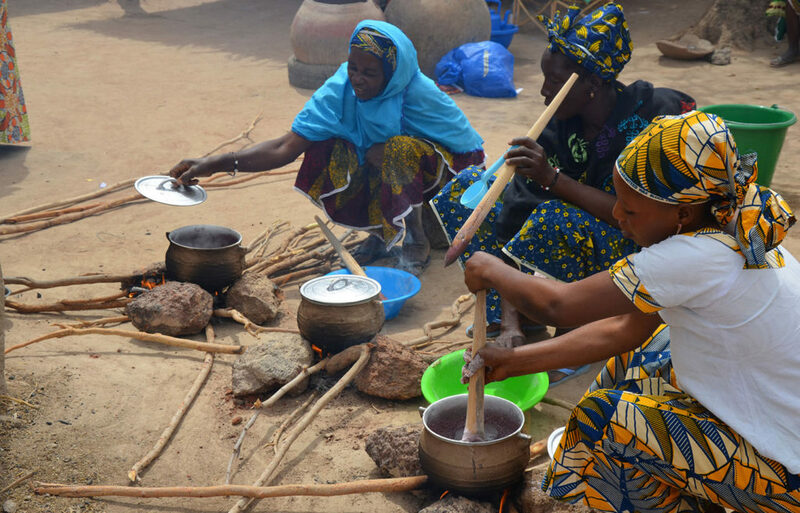 The paper reports on the success of the innovative methodology used for knowledge transfer (collective cooking) among women in rural communities in Mali during the An Be Jigi (‘Hope for All’ in Bambara) nutrition project. The intervention, driven primarily by women, resulted in a significant increase in adoption of the use of whole grain sorghum for food preparation, especially for young children. 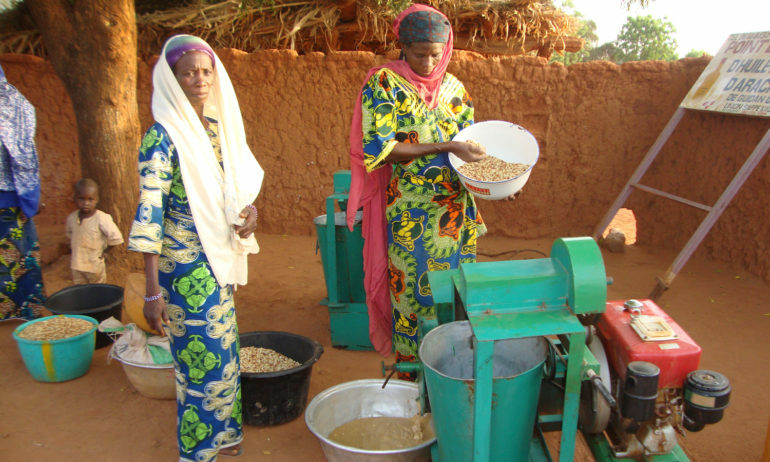 When the An Be Jigi project began in 2006, women and children in the Koulikoro region of Mali suffered from malnutrition, low growth and anemia. Despite sorghum and millets – cereals rich in iron and zinc – being a significant component of the local diets, researchers found that uptake of these essential minerals was low because of the way the grains were cooked. For example, to prepare a local dish Tô, women pounded the sorghum grains for decortication (removal of the seed coat). The women explained that decortication was considered essential as incompletely pounded grains were considered a sign of laziness on the part of the cook in their community. Decortication also imparted a wealthier status to the family. Unfortunately, the removal of bran also resulted in about 50% loss of iron and zinc. To solve this issue, the project team developed alternative methods of cooking whole grain sorghum (without pounding out the bran): soaking and drying the grains before grinding in a mill. They also created new recipes that used the flour obtained by this method. For spreading these ideas among the main stakeholders of community nutrition – the women (especially young mothers) – the team conducted group cooking (cuisines collectives) sessions to teach women the recipes and discuss child nutrition and hygiene issues. Several remarkable women came forward to become nutrition leaders in their regions, conducting workshops and information sessions. They explained that using whole grain not only increased the nutritive value of their food, it also freed up the time that the women would otherwise spend pounding the grain in a mortar and pestle. Aminata Sanogo and Assa Kayentoo are two such nutrition leaders who use the local idiom to explain the science behind nutrition, growth and health. To make an impact on a largely illiterate audience, they use pictures, drawings and examples drawn from day-to-day life (“Proteins are essential – like the bricks to build a house”). During these sessions, apart from learning new, wholesome recipes, women could also discuss among themselves other problems and difficulties. 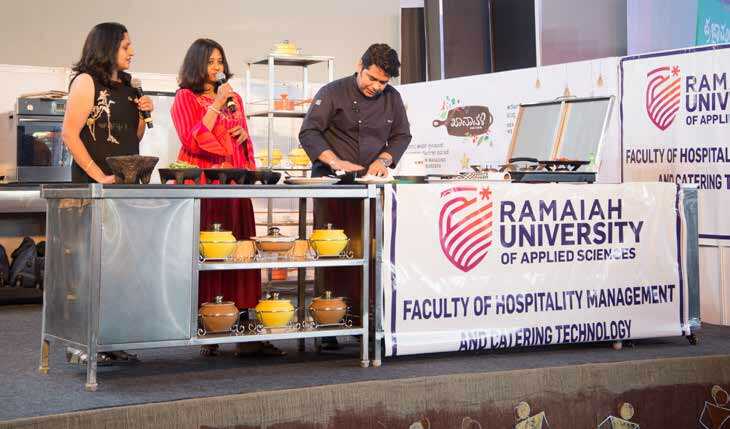 This led to greater understanding of the workings of rural communities, the roles played by women in the family and the age-old perceptions associated with food. A post-project survey in 2015 revealed practical problems faced by the rural women in including whole grain in their diets, such as not having a flour mill close by for grinding the whole grain sorghum into flour, and having to depend on men to drive them to the mill. 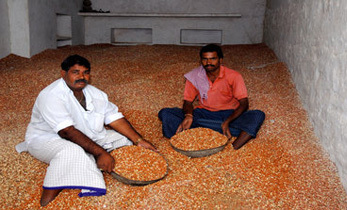 Nevertheless, the work done by An Be Jigi has resulted in a significant increase in the consumption of whole grain sorghum in the region, especially among young children. The above-mentioned paper about the study, conducted after conclusion of the project, revealed that over 71% of the women were feeding whole grain to their children at least every other day. About 56% of families were having whole grain diets every day. By reaching out to the women in novel ways and digging deep to understand their motivations for adopting certain cooking practices, An Be Jigi researchers have broken new ground in social science research. They have shown that knowledge and technology sharing reaps richer rewards with a cultural understanding of the local milieu. Mothers in the Koulikoro region of Mali are leading by example to create a more capable younger generation. While some challenges still exist – removing gender-based distinctions on activities (e.g. riding motorbikes) – women like Aminata, Assa and others have contributed immensely to changing the mindsets and practices of villagers in Mali, giving the children a solid base for a stronger, healthier adulthood. Partners: Malian National Agricultural Research Institute, IER (Institut d’Economie Rurale); Helen Keller International; McKnight Foundation; Association Malienne d’Eveil au Développement Durable (AMEDD); Union Locale des Producteurs de Céréales de Dioila (ULPC); Coopérative pour la Promotion de la Filière Semence de Siby (COPROSEM); Wageningen University (Netherlands); Institut de Recherche pour le Développement (IRD, France); Département de Technologie Alimentaire of IRSAT (Burkina Faso); ICRISAT. 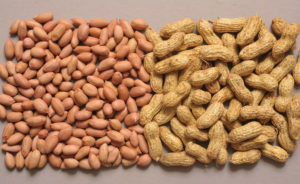 To respond to the growing demands for high oleic peanuts, groundnut scientists from the International Crops Research Institute for the Semi-Arid Tropics (ICRISAT) and partners across India have just developed the first-ever oleic-rich peanuts in Spanish and Virginia bunch types, adapted to Indian farm conditions. 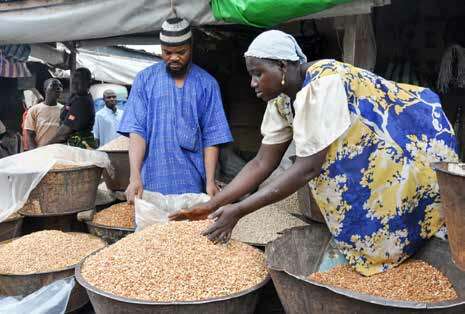 The CGIAR Research Program on Grain Legumes and Dryland Cereals Agri-food Systems (CRP GLDC) launched focused on increasing the productivity, profitability, resilience and marketability of critical and nutritious grain legume and cereal crops grown in Sub Saharan Africa and South Asia. This second phase CRP combines the lessons learned from three phase 1 CRPs: Dryland Cereals, Grain Legumes, and Dryland Systems. CRP-GLDC is a Research for Development investment of US$413 million over five years (2018-2022). CRP-GLDC is one of 12 CRPs delivering to the CGIAR’s Strategy and Results Framework (SRF) 2016–2030. 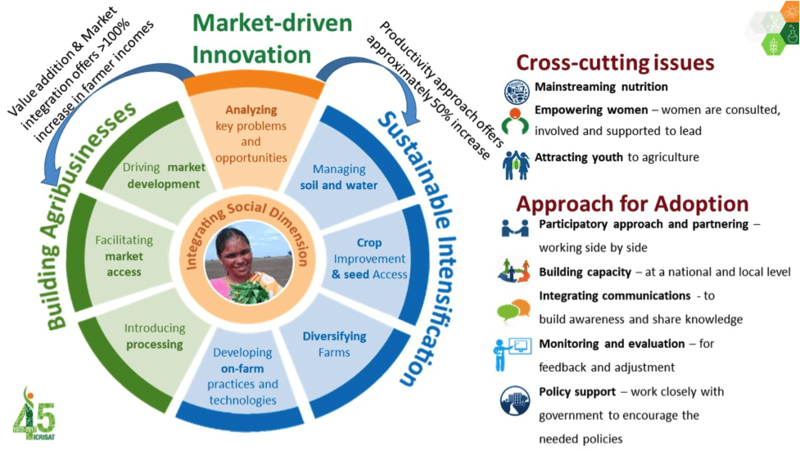 By 2030, CGIAR and its partners will aim for 150 million fewer hungry people, 100 million fewer poor people, at least 50% of whom are women, and 190 million ha less degraded land (http://www.cgiar.org/about-us/our-programs/). The CRP has prioritized integrated research for development on six legume (chickpea, cowpea, pigeonpea, groundnut, lentil, soybean) and three cereal (sorghum, pearl millet, finger millet) crops grown in semi-arid and sub-humid dryland agroecologies. CRP-GLDC will be managed by the International Crops Research Institute for the Semi-Arid Tropics (ICRISAT), supported by the International Institute of Tropical Agriculture (IITA), World Agroforestry Center (ICRAF), International Center for Agricultural Research in the Dry Areas (ICARDA), International Livestock Research Institute (ILRI), International Water Management Institute (IWMI) and Bioversity International. These CGIAR partners will lead key programs of the CRP along with Australia’s Commonwealth Scientific and Industrial Research Organization (CSIRO), the French-Agriculture Research for Development (CIRAD), and Institute of Research for Development-France (IRD). 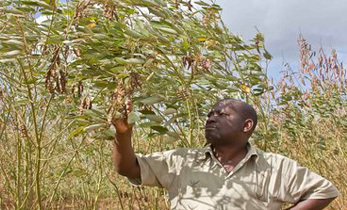 Broad partnerships are essential for CRP-GLDC and include the National Agricultural Research Systems (NARS) collaborators in West Africa (Nigeria, Mali, Burkina Faso, Niger), East and Southern Africa (Ethiopia, Sudan, Malawi, Uganda, Tanzania, Zambia, Mozambique), and South Asia (India and Myanmar), Sub-Regional Organizations, non-Government Organisations and private companies to increase regional adoption of improved crop varieties and enhance market opportunities for smallholder farmers. A formal GLDC program launch will take place in early 2018 coordinating partners into specific activity clusters aimed towards meeting program targets by 2022. Three weeks is all it takes to change the fortunes of a baby’s life, simply by training mothers to make small changes to what they are fed and how their food is prepared, according to scientists who studied malnourished infants in rural Malawi. 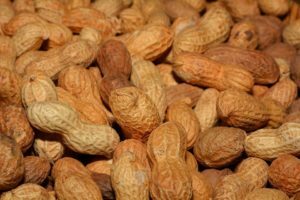 Small-scale groundnut farmers, especially concentrated in the southern states of India, have all the reasons to rejoice. 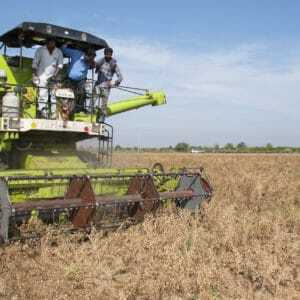 In a major breakthrough, the International Crops Research Institute for the Semi-Arid Tropics (ICRISAT) scientists have developed the first-ever oleic acid-rich peanut adapted to Indian conditions and it is ready for release in the fields. This has been possible due to the use of biotechnology, especially molecular breeding. 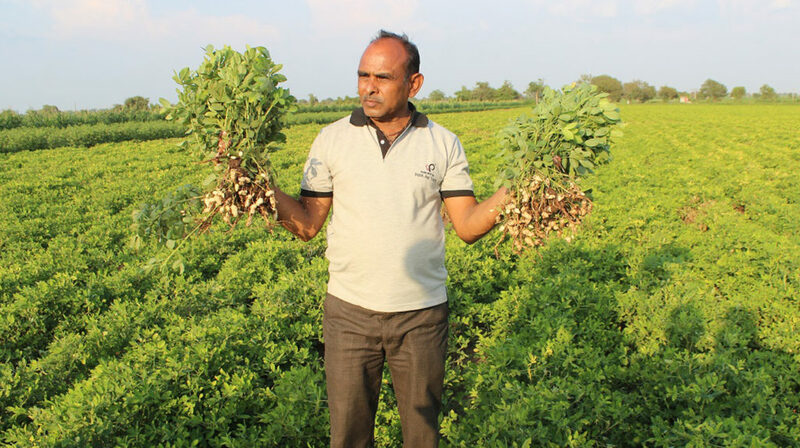 Groundnut scientists from the International Crops Research Institute for the Semi-Arid Tropics (ICRISAT) and partners across India have developed the first-ever oleic-rich peanuts adapted to Indian farm conditions. With booming population and burgeoning urbanisation, the water bodies are become increasingly filthy and unfit for human utilisation. Lakes and rivers are turning into giant gutters carrying waste and sewage. 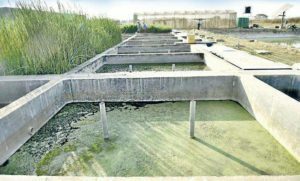 To provide a solution to this problem, the International Crops Research Institute for the Semi-Arid Tropics (Icrisat) has been working on a new concept called Constructed Wetlands (CW). 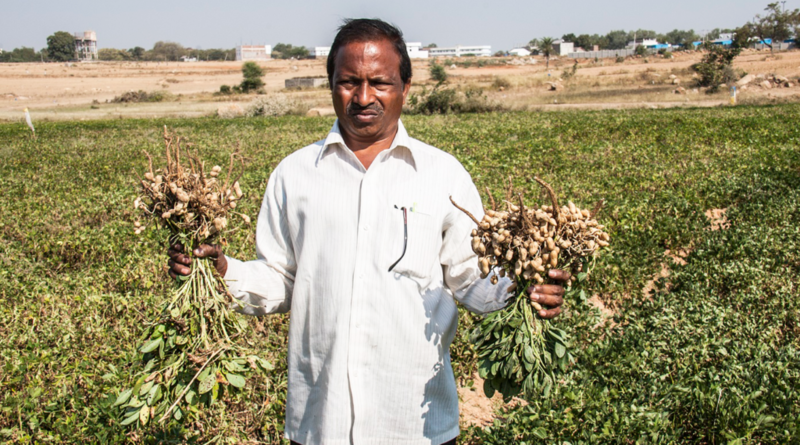 In Indervelly village, North Telangana, India, a few weeks after the last rains in mid-November, cotton seeds are ripening, ready for harvest and farmers are getting their fields ready for post-rainy (rabi) crops such as chickpea and sorghum. Sorghum is often cultivated in the less fertile plots, but is still an important food crop for the marginalized families of this region. Here, delicious rotis (soft flatbreads) are made with flour of the local landrace of this dryland cereal. Yet, sorghum yields are very low in this region (less than 900 kg per hectare) as only 20% of rabi sorghum fields are planted with improved varieties. Farmers still prefer local landraces mainly because of their grain qualities determining the unique taste. On-farm farmers’ participatory varietal selection/improvement is a successful method used to boost the adoption of cultivars in many countries; however, this approach is not effectively used to develop crop for under-privileged social sections in India. Studies have shown that lack of resources (fertilizers, irrigation, seeds, even manpower) plays a significant role in inhibiting adoption of improved varieties by farmers. Especially, smallholder farmers from socially underprivileged sections cannot afford to take the risk of trying out new cultivars which may ultimately not fit their needs; as a result, they are slower to adopt new varieties. To achieve satisfactorily high rates of adoption, crop scientists need to understand the preferences and cultural background of the farmers and provide them the range of variety choice relevant to their farm situations and their crop management practices. In short, smallholder farmers need to be included in the process of testing and adopting new varieties. 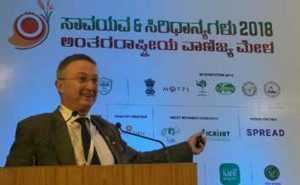 Dr Kholova from GEMS has initiated efforts to involve farmers in remote areas of Telangana State (Pataguda village in Adilabad district) in farm testing of lines pre-screened for better production in low-input crop management practice. Feedback from the farmers will stimulate development of a larger testing network and inform crop improvement programs to develop cultivars more adapted to farmers’ needs. This would ultimately increase adoption of improved varieties of rabi sorghum with greater impact on sorghum yield, nutrition and farmers’ income. Planting the six (best-bet) selected cultivars back in the farmers’ field along with the local landrace (called Persa Jonna locally) and standard rabi sorghum cultivar (Maldandi) as checks. Analyzing the farmers’ feedback based on his/her preferences (look/feel/taste/yield). 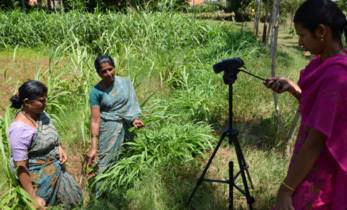 The farmers participatory approach experiment is, as of now, in the initial stages, with the scientists trying to lay the baseline for a more rigorous study which will involve analysis of multiple socio-agro-ecosystem aspects. 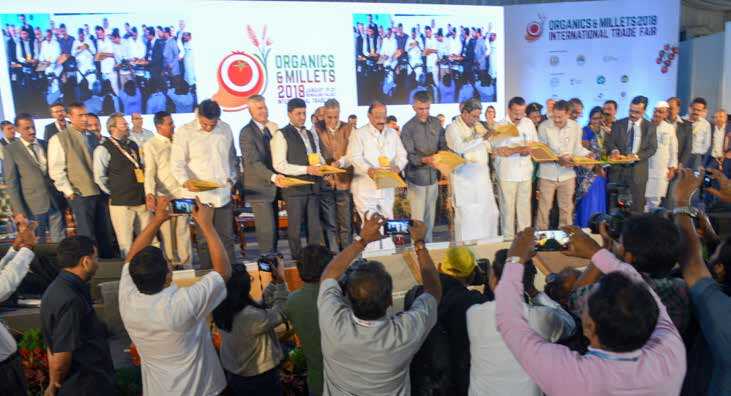 The scientists foresee that, with time and a greater trust between them and the traditionally marginalized farmers, these shall have more impact on the crop improvement decision-making process. 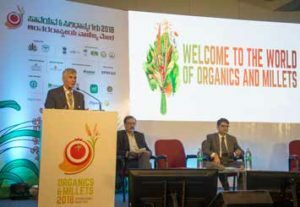 This approach requires crop scientists to confront the reality of crops grown in the marginal land in the farmers’ fields. 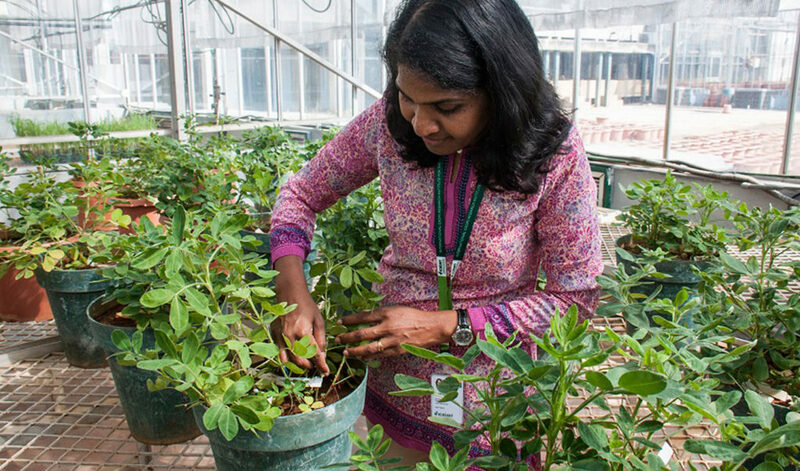 Breeding programs of agricultural research institutes such as ICRISAT, when developing elite lines with drought/pest-resistance, high yields, and other beneficial traits, have to start with the end-user demand. 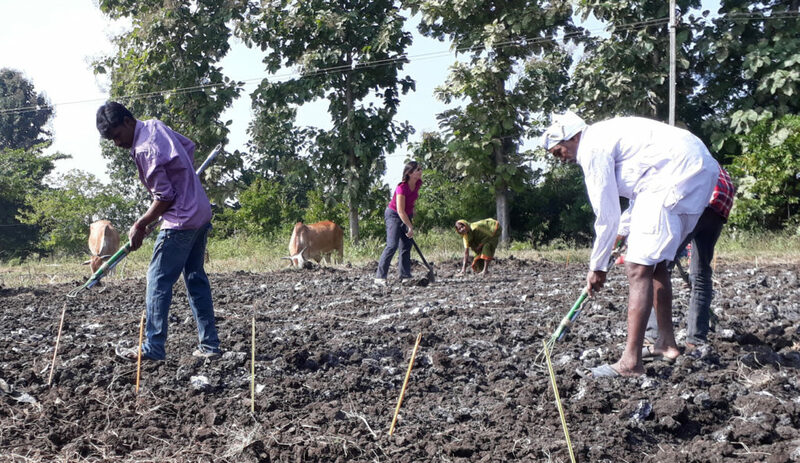 By analyzing the main drivers of adoption of rabi sorghum, and by devising participatory crop breeding protocols that truly take into account farmers’ preferences, Dr Jana Kholova and her colleagues at ICRISAT are hoping that these adapted lines reach the most vulnerable sections of farmers. Noted plant pathologist Dr Yeshwant Lakshman Nene, former Deputy Director General (1989-1996) of ICRISAT, passed away on 15 January 2018. He was 81. Internationally recognized as a leader in grain legumes research, and an authority on pulses pathology and international agriculture, Dr Nene spent 22 years at ICRISAT (1974-96). 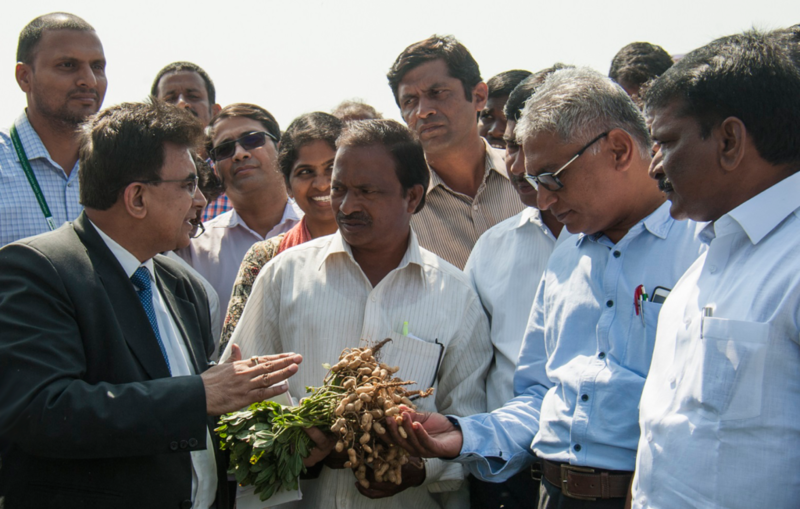 Dr Nene joined ICRISAT as Principal Plant Pathologist in the Pulses Improvement Program. As DDG, he identified wilt/root complex in chickpea, and wilt and sterility mosaic in pigeonpea as the priority areas of research in these crops. His landmark contribution was resolving the ‘wilt complex’ problem in chickpea. He determined that the wilt complex, in fact, included several distinct diseases that included wilt and several other root rots. As Chairman Emeritus of the Asian Agri-History Foundation, he helped publish numerous articles, conference proceedings, books and medieval texts (translated from Sanskrit, Farsi, etc. into English) on ancient agricultural history. He has authored, edited, or co-authored a total of 440 publications. 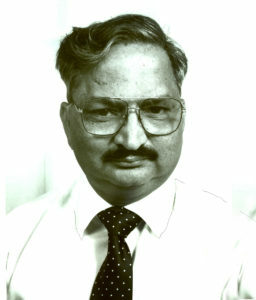 His research articles have been published in 52 journals. Dr Nene will be remembered as an accomplished scientist and an active spokesperson for Indian agricultural heritage. 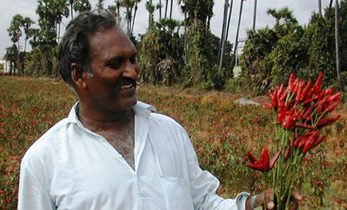 ICRISAT offers condolences to his family.